The Mental Health Act was a major player in the creation of Star Wards. Many years ago, our founder, Marion Janner, was admitted under section. She experienced a hospital that was full of potential, but existed in a system that lacked imagination. Marion was and is forever grateful for the staff that looked after her, but wanted better for them, for her and for other patients and carers. That desire led to the birth of the Bright Charity and its first big project – Star Wards. The bedrock then and now is the Star Wards 75 small changes that have positively transformed many wards. 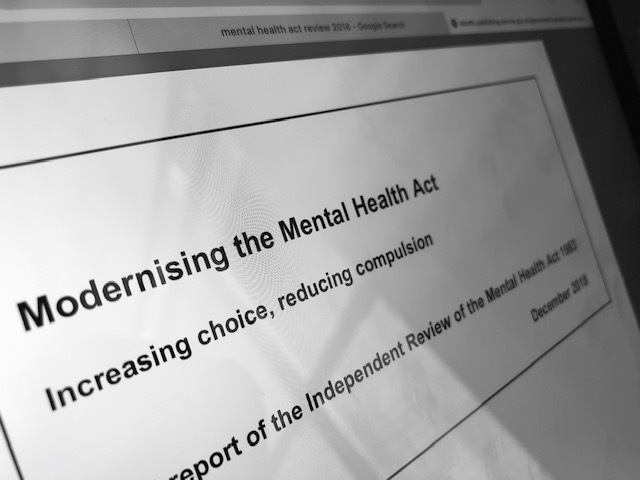 Fast forward fifteen odd years and we have the final report of the Mental Health Act review 2018 and, in many way, we could ask “what has changed”. The report is tough reading, but ultimately I think, it is fair. Taking great pains not to tar all staff with the accusation of being uncaring, it tells some hard truths about risk adverse and containing cultures, blanket rules, environments that lack imagination and the continuing concerns about treatment of Black and Ethnic Minorities and people with Learning Disabilities. It does balance this with an acknowledgment that for a number of people, like Marion, being detained saved their lives. But it is clear that all our struggles to make a brighter future continue. Hardly surprising, I think, in a decade long backdrop of grinding austerity, reduced staffing and limited resources. Although the reports authors weren’t to know it, we have already had some initial conversations with NHS England and have been hugely impressed with their commitment and the “we aren’t just doing this to tick a box” factor. And we have some amazing Bright Associate experts by experience who are soaked in co-production – people like Raff Hamaizia and Iris Benson who work with us, teach us and inspire us. So we are sobered by the messages in the report, but we are not discouraged. If anything we are even more committed. We know that transforming a ward is difficult, but we have seen people do it and we believe this is possible for all wards. Transforming a whole sector will just mean more effort, more time and, as the report rightly says, take much more co-production and following the patient voice. Finally, I think it is right to thank the authors and back scene workers who grafted to complete this huge work (and a particular nod to the amazing Dr Sarah Markham). This was not an easy task, but you have done it comprehensively, skilfully and honestly. Do read the report– it is worth the effort – and then join us with the job of making it history.